The country that boasts of ancient literature on love-making, shies away from talking about 'love' at all. It doesn’t come as surprise when matters relating to pure emotions, body, and intimacy are met with silent murmurs and giggles. That’s our sad reality. But, there’s a deeper and more powerful reality residing here, as it is in the world. And that reality is finally finding its ground. With the Supreme Court of India scrapping Section 377 from the Indian Penal Code, allowing two consensual adults (directed at homosexuals and sexual minorities) to ‘live’ and breathe in the free country just as any person we look back at how Bollywood or the Hindi Film Industry hasn’t shied away from bringing the Queer reality onscreen. From confusing gender and sexuality to understanding its difference and intricacies; from mockery and comedy to emotional sensibilities and reality, we have surely come a long way. For a very long time, we as a society considered the topic of homosexuality to be a ‘mental-condition’ and a disorder. And it reflected clearly in the films. So, it became a trend to use homosexuals, transgenders, and other minorities to come on screen for humour, even if that means having to demean and stereotype the community. Shridhar Rangayan’s powerful The Pink Mirror – a film about drag queens competing with a gay teenager's attempts to seduce a man – was unabashedly silenced. 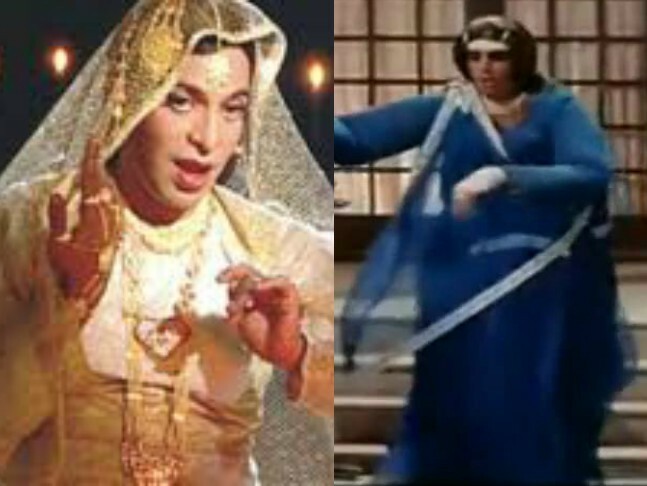 Around the same time, Hindi cinema’s quintessential hero, Amitabh Bachchan dressed as a drag queen for a ‘humorous song’ (Mere Angane Mein) still remains a favourite. Eventually, we moved from songs to established characters. Dharmendra’s Mast Kalandar was the first of its kind to have an openly gay character, played by Anupam Kher. He apparently walks, talks, and behaves ‘like a woman’. But reality doesn’t have women or gay men, for a fact, being anything close to how it was portrayed. Tagging them as ‘not forward enough’ would have been an easy solution. But, even in the 2000’s, we didn't progress. 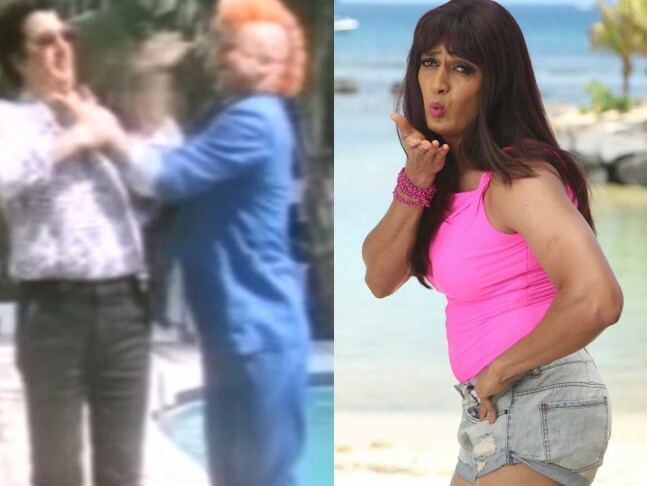 From comedian Johny Lever's unabashed use of the term ‘Chakka’ in the film Nayak to Riteish Deshmukh continuing to repeat what Anupam Kher did in 1991 until 2014, was a common practice in Bollywood. A wise man once said, “There is no one reality except the one contained in us”. While one part of the industry continued to mock sexual minority, the other constantly tried to bring their issue in the forefront. Madhur Bhandarkar showed the difficulties of ‘coming out’ in Fashion and the pressure of hiding the truth in Page 3. Karan Johar tried his best to talk about homosexuality with Dostana starring Abhishek Bachchan and John Abraham as a fake gay couple while Student of The Year subtly showed Rishi Kapoor, the dean who has feelings for his school’s sports coach Ronit Roy. Rhea Kapoor and Ekta Kapoor’s Veere Di Wedding had Kareena Kapoor’s uncle and his partner (Vivek Mushran) silently living their lives in the shadows of the society. Even though much of this was an attempt to be humorous, these films managed to start conversations. Our independence was a battle fought for almost 200 years. Today’s judgment by the apex court came after an agitation that started three decades ago. But finally, the justice prevailed. Films weren’t any different. Slowly but steadily, they too became a true reflection of the society with every character, be it heterosexual or homosexual. With time, these characters weren’t reduced to mere comic elements. The roles were scripted keeping LGBTQ+ in mind, highlighting not just their social but emotional struggle. Once again, it was Karan Johar who opened a serious conversation about it with his film Bombay Talkies starring Saqib Saleem and Randeep Hooda. Making a poignant mark were Hansal Mehta with his groundbreaking film Aligarh starring Manoj Bajpayee and Rajkummar Rao, Shonali Bose’s Margarita with a straw starring Kalki Koechlin and Pan Nalin's Angry Indian Goddesses with Sara Jane Dias and Tannishtha Chatterjee. But nothing speaks like a commercial film does. Shakun Batra used that power in Kapoor & Sons with the societal ‘perfect bacha’ but an ‘imperfect’ Rahul, played by Fawad Khan. Deepa Mehta’s Fire with Shabana Azmi and Nandita Das, Onir’s My Brother Nikhil with Purab Kohli, Rahul Bose’s I am, were some of the few films which despite being ahead of its time, didn't get their due. Tracing our own history and progress, the only way, now is, ahead!